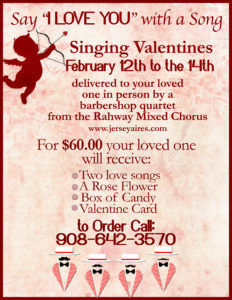 We are The Jerseyaires, a mixed a cappella chorus located in Rahway, New Jersey. 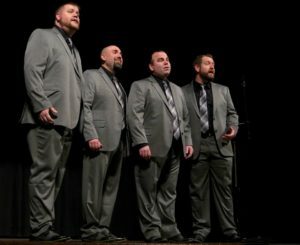 The men are members of the Barbershop Harmony Society, and the women are Associate Members of the Barbershop Harmony Society. 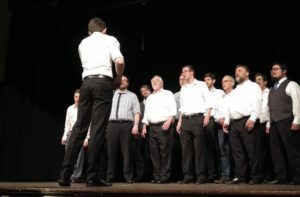 We are looking for men and women who love to sing. 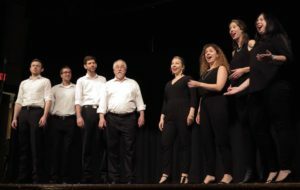 Whether you've sung onstage or in a choir, a chorale or your own backyard, The Jerseyaires welcome you to join us, to raise your voice and make the rafters ring! 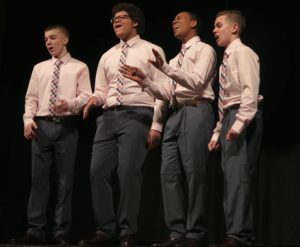 We specialize in Barbershop style singing, but have been known to sing other styles as well, including contemporary music arranged in the Barbershop chording structure. Guest are always welcome to stop by to meet us and enjoy the evenings activities! With performances from Gimme 4, Atlantic Harmony Brigade, and also an Octet comprised of singers from Voices of Gotham and the Sirens. Thank you to all competing quartets and guest for making this a fantastic Novice Contest. 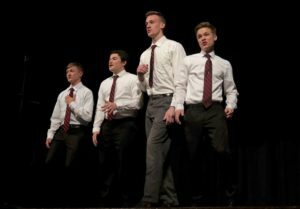 Enjoy the sounds of the High School students that make up Quin-tones to earn them the second place spot.